One female inmate tried to fight with a unit deputy. With the imminent danger of having most of the inmates in the segment against one or two deputies, the pepper spray was deployed to prevent the combative inmate from harming the deputies. Nurses were summoned to assist with treating that particular inmate. Except…the other inmates from the bottom tier were also affected by the stinging aroma of the spray. I just went back to the Clinic from that unit to bring some needed items for the nurse. I saw her shadow with what seemed to be gasping for air. I asked the Charge Nurse if I could help so she gave me her chart. She did have a history of Asthma. I immediately brought her in and reviewed the chart as I took her vital signs. “I’m allergic to cinnamon and I think my throat is closing up,” she complained. “Relax!” I commanded. “I saw that from your chart. Let me finish taking your vital signs…Take a deep breath!” I stated as I held the end of my stethoscope close to her chest and listened to her lungs expanded and deflated. I didn’t hear any abnormal sounds. As I took it away, I heard a more audible wheezing-like sounds coming from her nares. I knew she was doing it but I ignored her drama. I couldn’t ignore the fact that she still suffered from the pepper spray’s effects. “Ma’am, I can’t breathe!” she wailed. Putting my oxygen monitor in front of her, it was registering at 100%. A perfect amount of oxygen reading in her blood. “See this?” She nodded before I even explained anything. “But I’m allergic to cinnamon!” she whined. “Okay. Go to the restroom and wash your face really well to wash off some of it and rinse your mouth.” She obeyed. She sat down after, looking less anxious. I was glad she finally listened and chose to not be stuck with her thought that “cinnamon” from the spray bothered her. She gave me a smile as I handed a sack lunch I ordered from the prison’s kitchen. I decided to keep her temporarily until the problem in her unit got resolved. She took two puffs from the inhaler I issued and related how she was feeling much better. That’s what humanity is. Stuck with our own thoughts. Our own ways. It’s easier to believe when we see proofs of our existence. 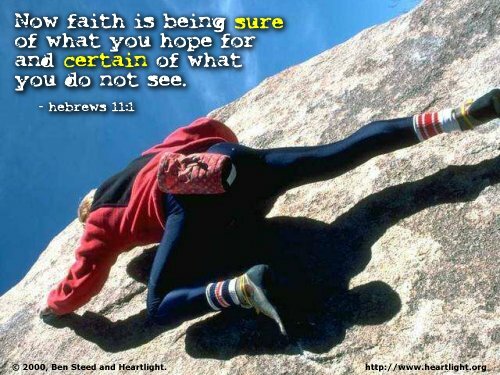 Choosing to ignore that “faith” is not based on seeing things. Faith is a result of having a knowledge of knowing God first. We can’t challenge that the pepper spray doesn’t have cinnamon because that’s the truth. So, if that’s the truth, why argue?